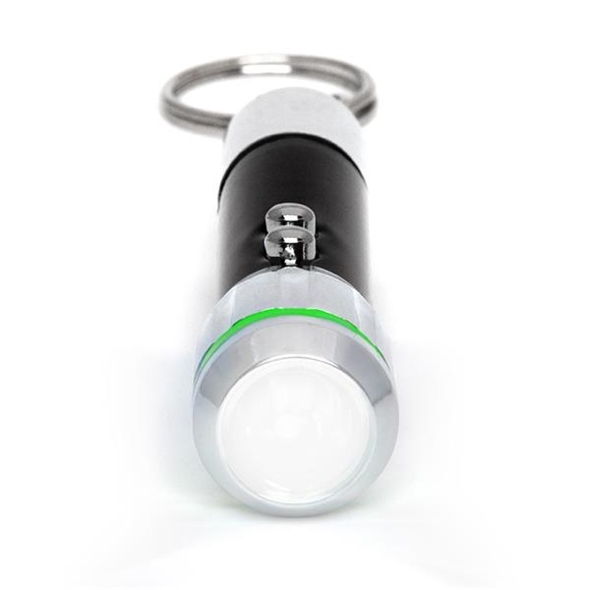 Your friends will be in for a shock when you crack out this nifty little novelty gadget! 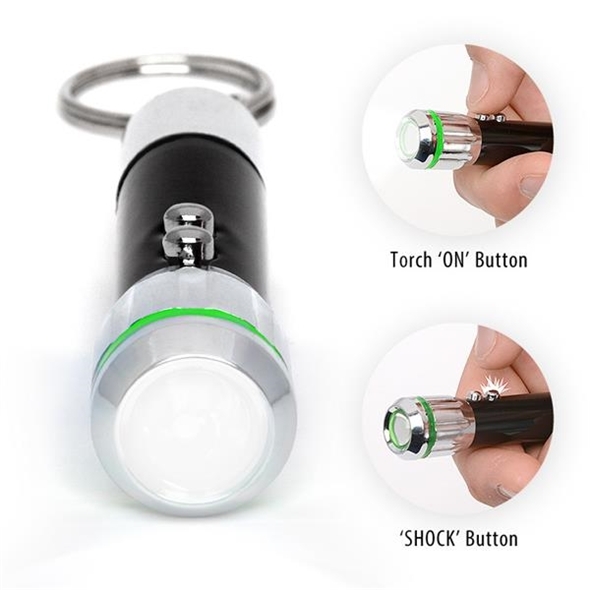 This handy shock torch - which actually functions as a genuine torch which shines a bright light into the considerable distance is a sneaky little thing because if you press the correct button then the torch lights up as you want it to, however if you press the wrong button you get a nasty (but totally harmless) electric shock - much to the shock of the innocent person operating the torch! This never gets old and is a great gag to pull on all your friends. If you fancy yourself as quite the practical joker then this Joke Shock Torch should hold a firm place in your metaphorical toolkit! 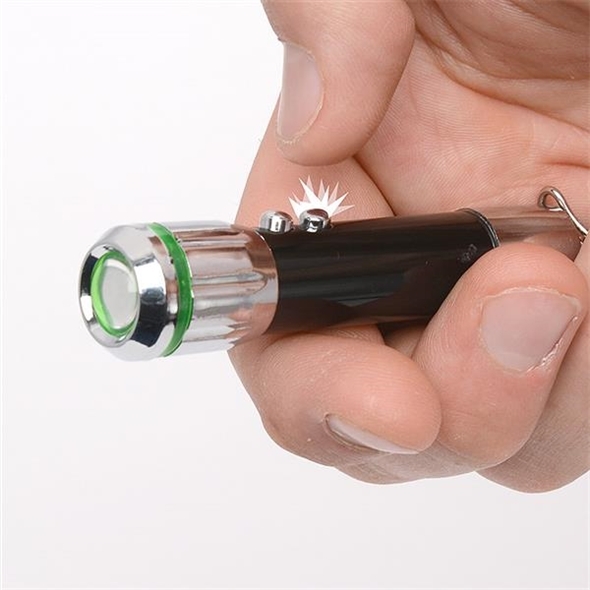 These amazing little novelty gadget will shock your unsuspecting pals when they press the button. Cruel - but totally funny, right? 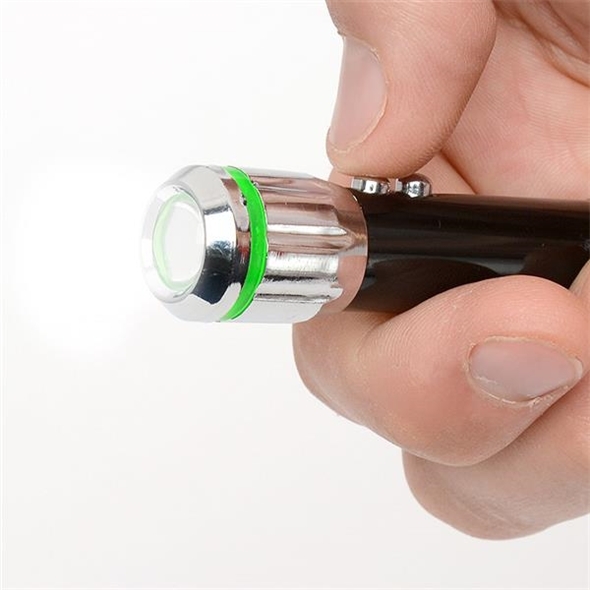 We love this little product because believe it or not, it's actually pretty realistic. 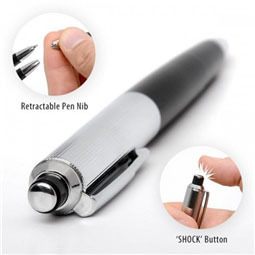 You wouldn't believe how many people fall for this little gadget on a daily basis - and watching your friends jump in surprise as they get shocked never gets less funny. 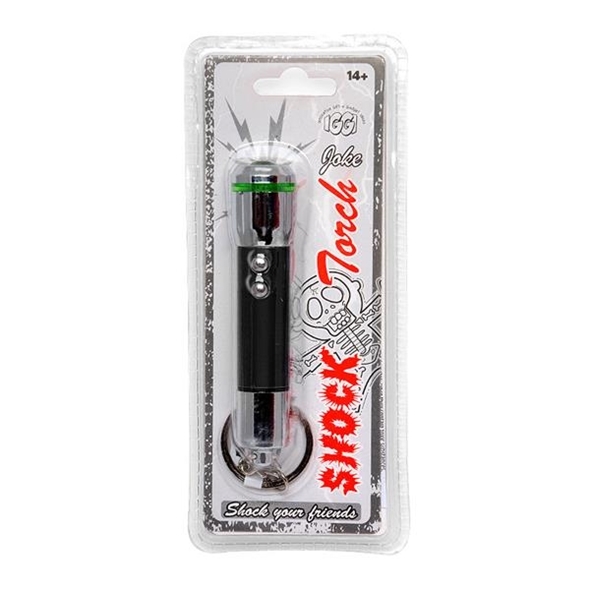 The Joke Shock Torch is one of our most cruel novelty gadgets, but definitely the most satisfying. Presented in all-new retail packaging. Packed in CDU's of 24pcs measuring 25x21.5x16.5cm. Ages 14+. Keep out of reach of children. May interfere with electrical devices such as pacemakers.